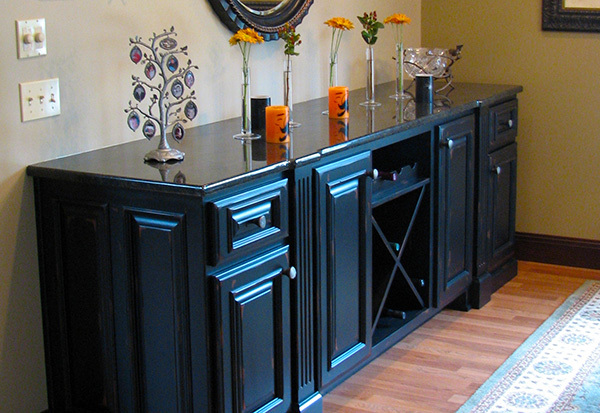 Vintage Millwork specializes in exceptional wood cabinetry, furniture, custom built-ins and much more! 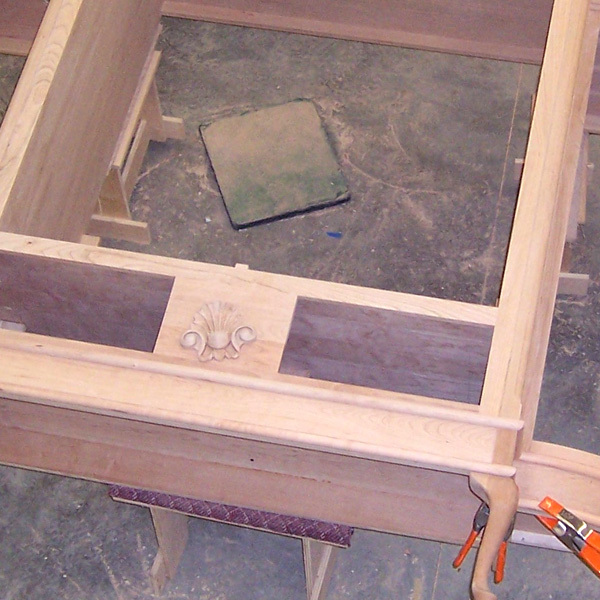 At Vintage Millwork our craftsmen strive to provide a full custom product that will last for generations to come. We work with you from design to installation in order to bring your dream to reality. Since we are a full custom shop, we truly believe that the most important step in creating heirloom quality work is to first understand your individual needs. Please browse Our Work and enjoy what our discerning clients have graciously allowed us to create. Don’t hesitate to contact us with questions or to set up a no-obligation consultation. Kitchens have long been the center of life and activity in the home, so you deserve a kitchen that incorporates your unique style while at the same time provides incredibly functionality. Vintage Millwork will work closely with you to design a kitchen that reflects your style and maximizes your space to make your time in the kitchen absolutely enjoyable. Don’t just settle for a basic necessity bathroom, add beauty and elegance to your bathroom with custom cabinetry from Vintage Millwork. We’ll work closely with you to maximize your space and showcase your unique style. Or, have you become bored with laundry? Vintage Millwork can add elegance with efficiency by designing your laundry space to make the mundane enjoyable. Why do ordinary when you can have an extraordinary entertainment experience! 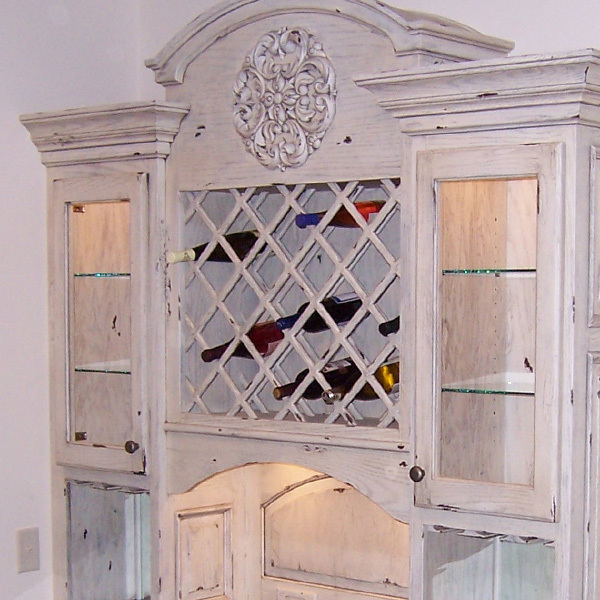 Vintage Millwork custom designs our entertainment pieces to fit your unique lifestyle. So, whether it’s for you to relax in a quiet personal movie theater or to share drinks and laugh with friends around your one-of-a-kind bar, you’ll enjoy every minute with our custom designed entertainment pieces. Whether you need a small office workspace or an entire room to house your comprehensive library collection, Vintage Millwork will custom design each piece just for you. Everyone has unique needs in an office workspace, yet for each of us, organization is still key. We will work closely with you to create a space that is as functionally efficient as it is elegant. Nothing says custom like an entirely custom designed millwork piece that fits seamlessly with your home. Vintage Millwork’s custom built-ins are one-of-a-kind pieces that maximize space in your home and enhance your style. So, whether it’s functional, for entertainment or just display, a custom built-in will add to the beauty and charm of your home. We create heirloom quality work. There’s no better way to pass on this heirloom quality than through custom furniture. 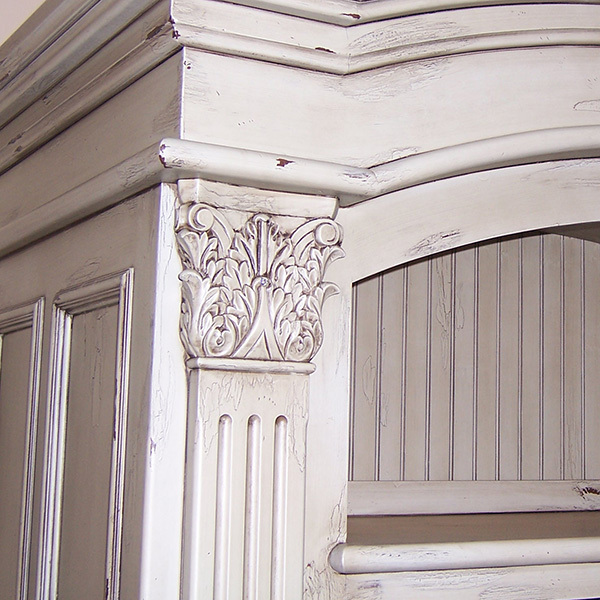 Vintage Millwork will work closely with you to design furniture that meets your exact specifications and needs. You’ll always enjoy heirloom quality furniture that enhances your life and showcases your unique style. Vintage Millwork strives to provide only the highest quality materials and expert craftsmanship in all of our custom built products. We use only the finest hardwoods and expert joinery techniques to ensure the highest quality and timeless beauty of each of our custom millwork projects. We utilizes a simple 6-Step Process. From the initial consultation to final installation, we streamline the design, build and installation for each of our custom millwork clients. Vintage Millwork offers custom millwork for: Kitchens, Bathrooms/Laundry, Entertainment Centers, Offices/Libraries, Custom Built-Ins, Furniture and much more!